I am sharing today another birthday card. 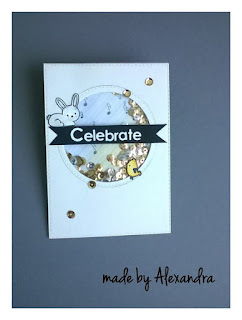 This time is a shaker card, I just love shaker cards I think that are so fun to make and to give. Lately I enjoy watercoloring very much, and when I have a bit of time I always play with watercolors to create backgrounds, and the panel inside the shaker is one of them. I created the shaker frame making some partial die cutting and then added some foam tape behind to add a bit dimension and to have space for my sequins. 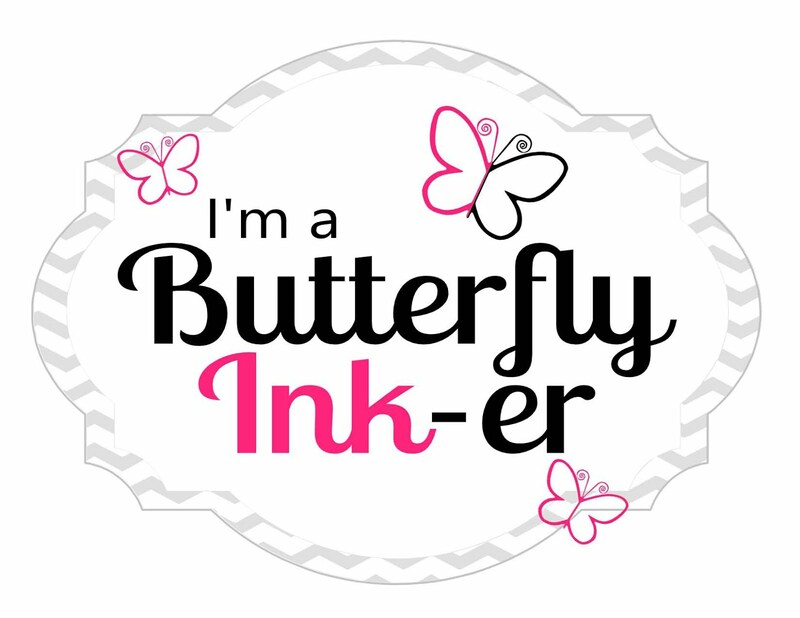 The butterflies I used are from efco - Butterflies and the sentiment is from Scrapberry's - Birthday party. To finish the card I added some sequins. And that is my shaker card for today! The Friday Mashup! Happy Birthday everybody! Seize the Birthday- Anything Goes! 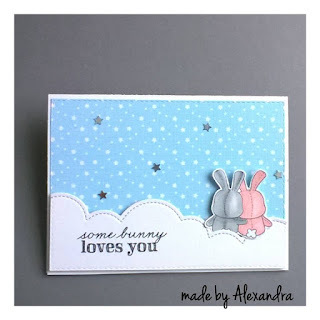 I am sharing today another card with the cute stamp set from Mama Elephant - Honey Bunny. For this card I used the Puffy Cloud Borders dies from Lawn Fawn to create the clouds for the bunnies to sit, used some pattern paper from my stash to create the sky and the bunnies are colored with Spectrum Noir Alcohol Markers. To finish up the card I added the sentiment from the same stamp set and added some stars. With this card I participate to Task for Two Tuesday - Challenge#38 Musterpapier! I recently discovered Gerda Steiner Designs and I participate to their share your design challenge were I won a 15$ voucher. Yay lucky me! So using those money I bought some cute digital stamps and one of them was this adorable bunny ( you can find him here Shop digital stamps ) they have also some nice freebies. For this card I used some watercolor paper and my distress Salty Ocean ink to create the sky and for the grass I used a green ink from my stash and the Lawn Fawn - Grassy Border dies to create my grass. The sentiment is from Create a Smile - Your View stamp set. 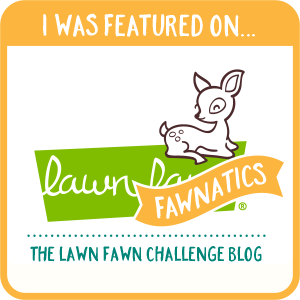 Today I am sharing a different card that I am used to do! A while a go I saw a very cute card and I wanted to do it myself but I didn't have a chance till the other days. I belive that this card 's name is ''never ending card '' and is opening in more scenes. I used the Mama Elephant - Honey Bunny stamp and the colored with Spectrum Noir Alcohol Markers then fuzzy cut them. Was quit a challenge for me to cut all those tiny pieces but I like how turned up . 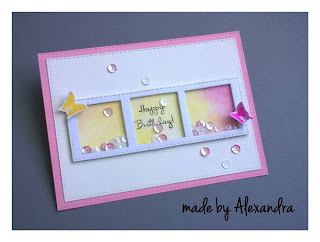 As final touch I added some half perles and that is my card for today! Stopping by today to share a shaker card that I made. 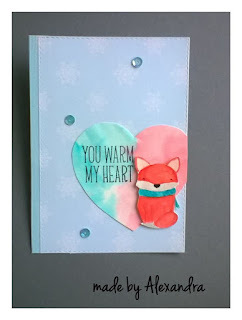 I absolutely love shaker cards I could do them all day long, they are such a fun to make and since I started to use fun foam I find it more easy and fast to make them. 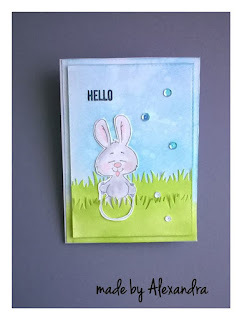 For this card I used the Lawn Fawn - Snow Day stamp set and to color the critters I used Spectrum Noir Alcohol Markers. For the sentiment I used Memory Box Uppercase and Alphabet Soup dies. Like I said I used fun foam to creat my shaker area and added some sequins from my stash . To finish up the card I added some sequins on the front panel aswell. 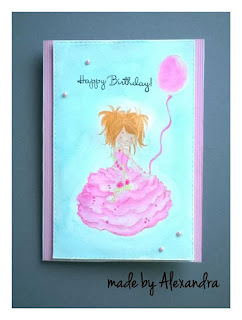 Today I' m sharing a birthday card! My sweet niece turned 4 so I made a girly birthday card. On the sides I added a bit o pattern paper and the front panel is pop up with fun foam .To finish the card I used some half mini perles. I thought that for the Valentine's Day I must do a shaker card and here it is. 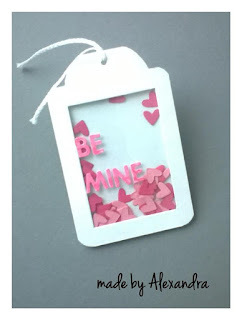 Using the heart die cuts from Lawn Fawn I cut some heart from 2 shades of pink cardstock. The letters are from Memory Box Upper Soup Alphabet which I colored with Spectrum Noir Alcohol markers. This was a very fun and easy tag to make . Thank you for stopping by ! Have a wonderful day! I have another Valentine's Day card to share today! This time I tried to keep the things simple and have a bit more of white. The cute bears are stamped from Scrapberry's - To wonderful couple stamp set which I colored with Stabilo markers on a watercolor paper. To have a bit of dimension to the panel I used some fun foam, and the sentiment because I didn't had a stamp with ''be mine'' I just writte it on paint and printed it. To finish the card I added some half perles, and that is my card ! The sentiment is from Lawn Fawn - Snow day and I am so glad that I bought this set even if is a winter set you can use it all year :). To finish up I added some sequins and a stripe of pattern paper on side. Using watercolor paper and some 2 shades of pink Stabilo markers I created the background. 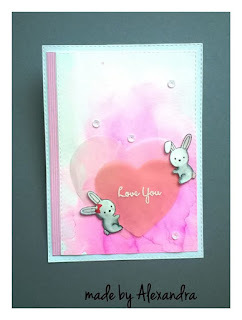 From vellum I cut 2 hearts to soften a bit the background and to have a base for my bunnies. The bunnies are from Lawn Fawn - Snow day which I colored again with Stabilo markers.The sentiment is from Scrapberry's - My little bear with cupcake which I embossed using white embossing powder. To finish up my card I used some white sequins and a stripe of pattern paper on the side. 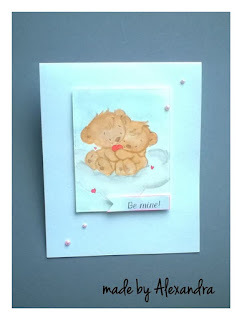 Here is another love card that I made this days. 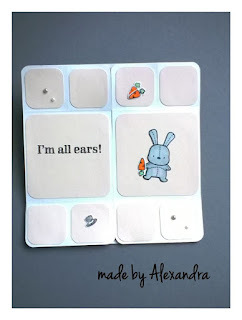 I love this set from Mama Elephant those bunnies are too cute and the sentiments are so nice. 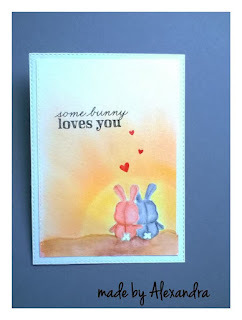 On a watercolor paper I stamped the bunnies from Honey Bunny and color them with Stabilo markers. The sentiment is also from the same stamp set. For the hearts above the bunnies I used Lawn Fawn - Snow day. For the background I cut a circle to make the sun then with a orange ink tried to tone a bit the yellow. And that my card for today!